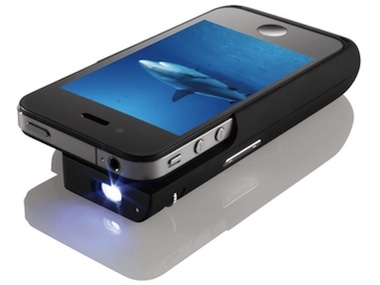 "Electronics giant Texas Instruments (TI) and specialty retailer Brookstone have announced the Pocket Projector for iPhone 4, a case for the iPhone 4 and iPhone 4S that incorporates TI's Pico projector technology to offer on-the-go video projection." Interesting concept case, that is in actuality a projector for you road warriors. You really need a dark room for it to be effective, but if you want to downsize your bulk, this looks like a pretty good option. You can preorder yours from Brookstone now.